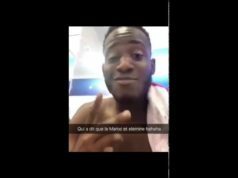 Rabat- Marrakech’s public prosecution has released the Frenchman who “insulted” the Moroccan flag in a video after he paid bail of MAD 10,000. The suspect, who reportedly owns a bar and restaurant in Marrakech’s Guliz neighborhood, will remain under judicial supervision until his trial on September 10. 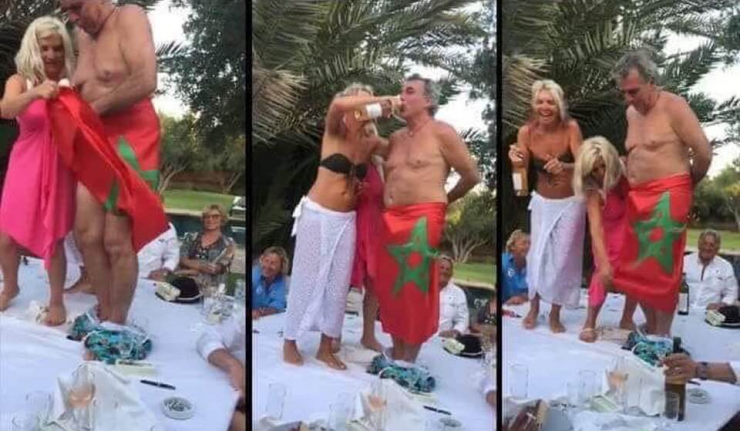 The 38-second-long video footage showed the 61-year-old French national wearing nothing but the Moroccan flag draped around his waist while drinking alcohol and dancing on a table in front of guests. 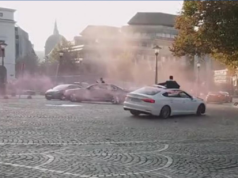 The video circulated on social media earlier this week, angering Moroccans who deemed it “insulting” and leading to the opening of the investigation on Tuesday, September 4, reported Morocco’s General Directorate for National Security (DGSN). The French national reportedly told the police during the investigation that the video was recorded in August at his wedding in Marrakech. According to Morocco’s penal code, insulting the emblem and symbols of the kingdom is punishable by imprisonment from six months to three years in addition to a fine of MAD 10,000 to 100,000. If the offense is committed in front of a group of people, the penalty increases to one to five years in prison. An unsuccessful attempt to insult the national symbols is equally punishable. The offender may even lose his or her civil rights or be banned from entering the national territory, according to Article 40 of the penal code.